Order received are usually processed and shipped within 2-workings days of receipt. Once orders ship a tracking number will be sent to your supplied email address. Orders are shipped by ground service (UPS, FedEx, USPS, etc) unless expedited shipping is paid for. Most orders take 3-5 business days to arrive. If you have a question about your shipment, please send an email to info@journeyinstruments.com. For all orders outside the USA, the customer is responsible for any duties and taxes incurred. This may include, duties, tariffs, VAT and any other tax levied by your government on imported goods. If customers cancel an order after shipping, we will refund the amount of the order, less all shipping (to and from the customer), customs, and related fees that have been incurred. If there’s a problem with your order, the first thing to do is email our Customer Service team (info@journeyinstruments.com) and provide a detailed description of the problem. They will take care of you. We’ll do whatever it takes to fix the problem and make you happy. If you believe you’ve received a defective product, contact our support team info@journeyinstruments.com and we’ll respond quickly with assistance or to provide you with a return authorization (RTN) number. If we determine the unit failed under warranty within 30 days of purchase we will cover shipping costs within the U.S. to replace the unit for you. We want you to be completely happy with your purchase. If you are not satisfied with any product, for any reason, you may return it for a refund of the purchase price, an in-house credit, or exchange for another product within 7 working days from the shipping date. If your purchase was eligible for free shipping, the shipping cost will be deducted from your credit or refund. Customer is responsible to pay for returned shipping cost and insure goods for invoice value. Please write the RTN number on the shipping label and NOT on the product box itself. Items must be returned in the condition they were received, including all accessories, documentation, and packaging materials. When repacking the product box, avoid using duct tape or other adhesives that can leave a residue. Please use a shipping method that is trackable, such as FedEx or UPS. Remember that if your order was shipped for free under our free shipping promo, the cost of outbound shipping will be deducted from your return credit. Journey Instruments Limited offers a limited warranty to the original purchaser that our products will be free from defects in material and workmanship at the time of delivery. This warranty is only offered to original purchasers of Journey Instruments Limited’s products purchased via authorized dealers and is non-transferable. Stringed Instrument body, neck, and neck attachment components: Journey Instruments Limited warranties these for the life of the product. Electronic components and products such as amplifying devices, pickups, transducer elements etc. 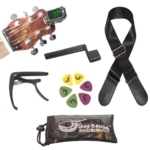 : Journey Instruments Limited warranties these components and products for a period of one year. Instrument bags and cases: Journey Instruments Limited warranties these for a period of one year of normal use. Components of products that are subject to normal breakage and wear-and-tear. This includes, but is not limited to, instrument strings, frets, tuners, finish checking hazing or cracking, pick scratch marks, plating finish wearing on instruments and cases, etc. Defects, problems, or issues on instruments and products that result from negligence, improper maintenance or use, modification, abuse, or exposure to extreme temperature and humidity. Any components that are manufactured by a third party brand. Any instrument that has been repaired or services without authorization from Journey Instruments Limited. Subjective preference in tone or playability when action is lowered below factory standard. For wood steel string guitars, use of any string set other than light strings will void this warranty. Any tampering or removal of neck attachment bolt or latch mechanism unless approved by a Journey Instruments Official Rep will void this warranty. Purchaser must provide proof of original purchase in the form of an original receipt to the authorized dealer from which they purchased their product and return the product to be repaired. The dealer will verify the claim and manage the shipment and work with Journey Instruments Limited’s authorized service center. Repair or replacement of products are to be conducted at an official Journey Instruments Limited service center. Purchaser must pay the authorized dealer in advance the full cost shipping and insurance (to and from authorized service center, along with customs fees and duties if applicable) of a product in need of repair. Should Journey Instruments Limited determine that the asserted defect is excluded from this Limited Warranty, the product shall be returned without repairs or replacement, via pre-paid shipping by the purchaser. 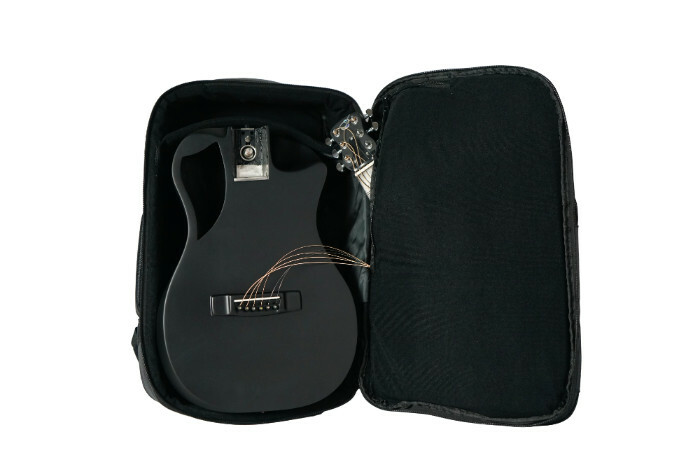 In the unexpected event of damage or loss of the purchaser’s product by theft, fire, or other event that may occur while in Journey Instruments Limited’s possession, any liability shall not be in excess of the replacement of the product with a new product of the same or most similar kind available. No liability will be assumed by Journey Instruments Limited in the event of loss or damage to the purchaser’s product while in transit to or from the specified repair center. The purchaser shall be responsible for any and all risk of loss during transit. The repair of any product or component that is claimed to be defective will be done by means of available materials, tools, and procedures at the time of claim. The repair or replacement of such product or component as deemed necessary by an official repair technician of Journey Instruments Limited. If replacement is necessary, the purchaser’s product shall be replaced with a product of the same or most similar kind and value available. This Limited Warranty is the exclusive sole warranty of Journey Instruments Limited and is made in lieu of all other warranties, expressed or implied, including any implied warranties of merchantability and fitness for any purpose. In no event will Journey Instruments Limited be liable for special, indirect, incidental, or consequential damages of any kind, regardless of how arising – including, but not limited to, damage to property, person, loss of profit or damages of any kind that are related to or a result of the production, sale, delivery, maintenance, repair, or use of any products or services. This Limited Warranty shall be controlling over any contradicting or conflicting terms and conditions of any and all other contracts, purchase orders or other documents that may be in effect with regard to Journey Instruments products.